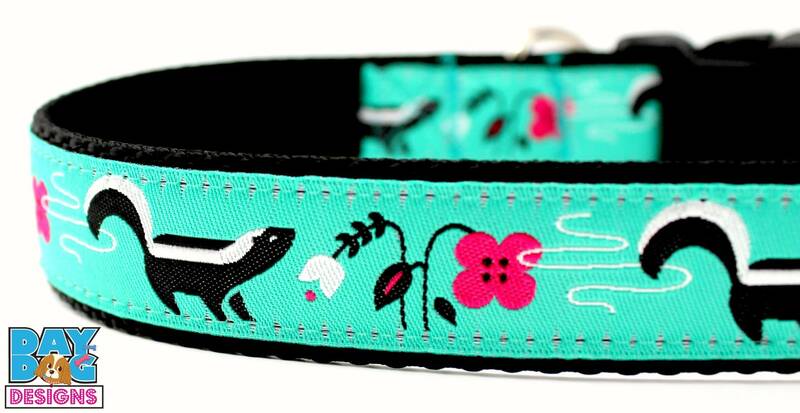 Curious Skunks in the garden with raspberry and white flowers on a bright teal background. This beautiful designer ribbon is placed on a black heavy weight nylon webbing. Due to it's width, this collar can only be made in 1" widths.